Check out 0:57. She is groping that sticker. Matt Mahler, of Tierra Ideas, got the first idea for his messenger bags in 2009. Realizing how many bike tubes get thrown out at bike shops, he hoped to figure out a way to reuse them for something useful and even something that relates back to their original use, biking. Tierra Ideas’ bags are 85% recycled by weight (on average). His company, Tierra Ideas, was founded right here in Raleigh. 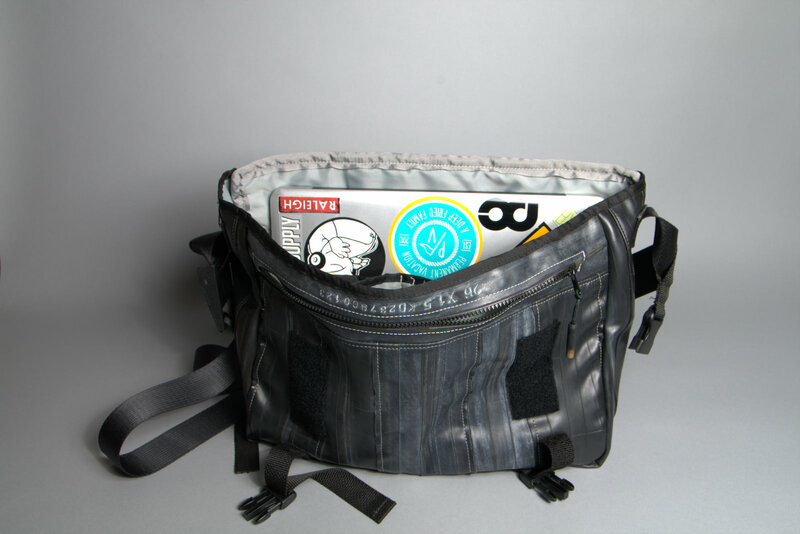 Needless to say he came up with a way to make a functional and stylish messenger bag that puts a second use to all of those busted tubes that we all get rid of. 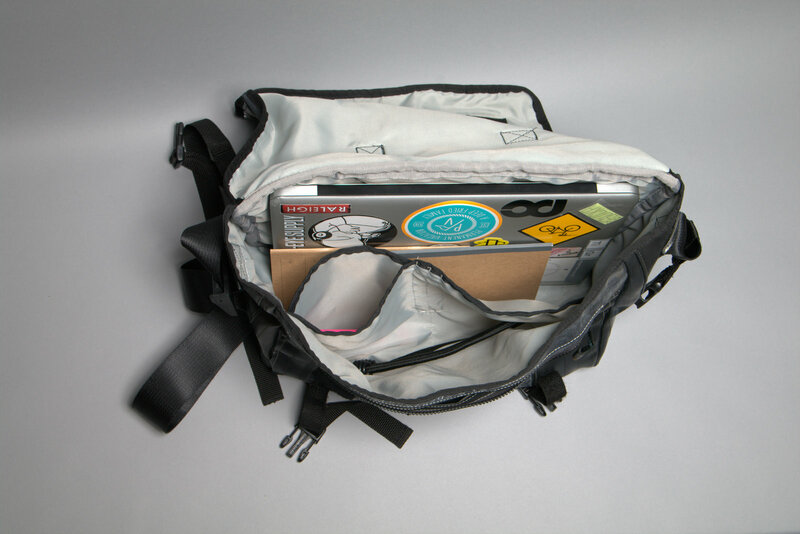 The Hargett Messenger Bag (above) has a, 15” laptop fitting, cargo volume. It has a front Velcro closure with clips (standard and sturdy). 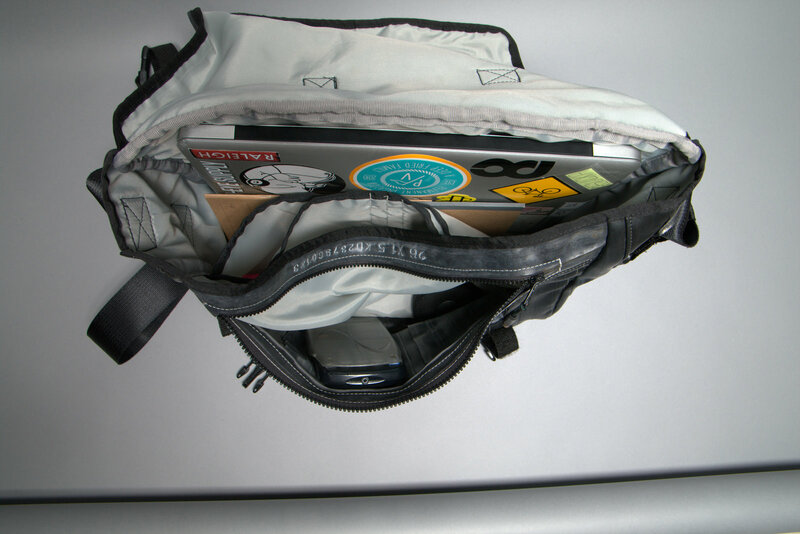 The front flap of the bag has 2 clips that will hold on to your u-lock or other lock for a more comfortable ride (this is a great idea for quick lock access). The interior of the bag is made of a gray nylon or recycled Delta Airlines curtains (your choice). 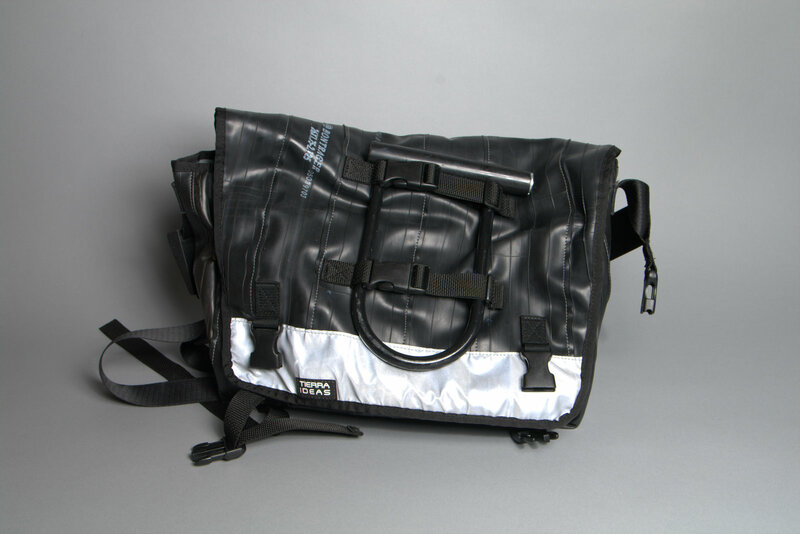 It is super durable, and has plenty of room for all of your cargo. The Tierra Ideas collection also contains laptop bags/cases, small purses, drawstring bags, a bike seat bag, as well as smaller messenger bags and a few more items. Among those other things is the awesome leather wallet made of leather first class seat covers. We encourage submission of your own bikes. Just email me at trianglefixies@gmail.com. A fixie with a kick stand, thats something you don't see everyday. This bike looks practical and fast. That seat looks nice too. Just look at all the details. Very well made bike. My favorite part is the wrap over tubing over the seat tube. SE Draft LITE with a cool front fork and a nice front wheel. From the book: http://www.goodreads.com/book/show/1416582.Human_Powered_Vehicles Very informative. Copyright William Hardy. Powered by Blogger.